Derma pentherapy re-called micro-needle mesotherapy, directly introduce the cosmetic active element or nutrition into the hypoderm for personal beauty care. 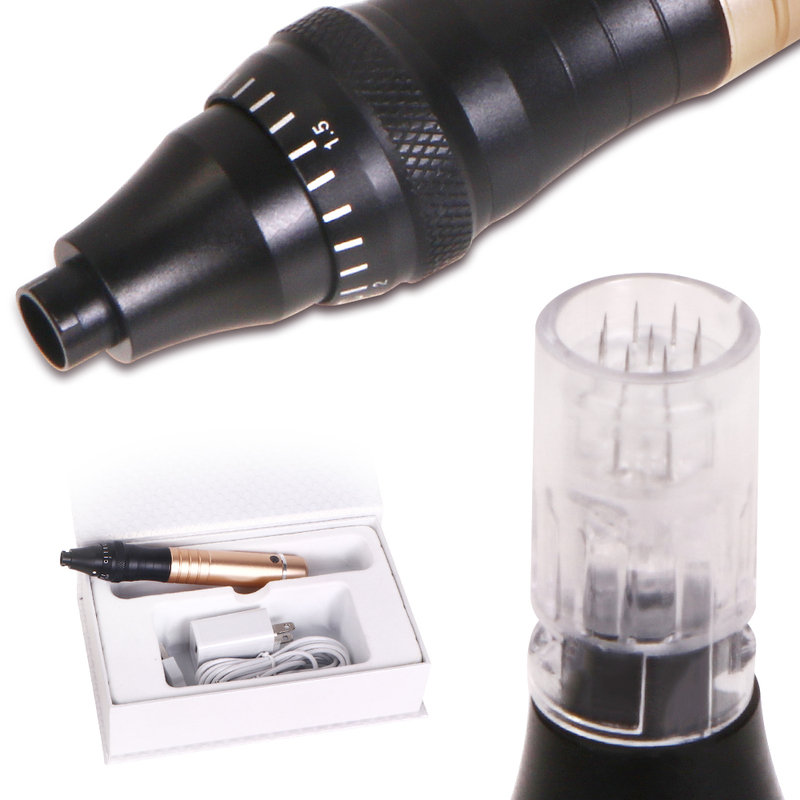 Derma Pen adopt the new-style motor to vibrate up and down vertically, penetrate cuticle and produce many super micro capillary to helpfully introduce elements. Derma Pen can thoroughly puncture skin without pain. The needle drum can randomly exchange. The operation is safe, convenient, healthy and simple. It`s advanced application in the beauty area. We can adjust the needle length freely so that the needle head can treat different beauty articles. The traditional derma roller has only one size for the roller head and can`t solve the requirements for treating different beauty articles at the same time.